T.CON’s new TRIM SUITE is a full-scale optimization application for the creation of patterns and cutting plans for goods in the form of reels and sheets. The methods a company employs to save money need to be ahead of the competition – With T.CON we will find you ways to save time and money. T.CON’s Trim Optimization enables our customers to reduce trim loss and waste with a fully featured deckle optimization tool. Companies in the mill industry are all struggling with the same problem: manual planning of cutting plans is time-consuming and does not always provide the optimal solution. Employees are busy for hours to optimize one single cutting plan. What is the solution? T.CON’s TRIM SUITE is the world’s first tool to run natively and fully integrated in SAP. It is fully featured as well as integrated into your work process. 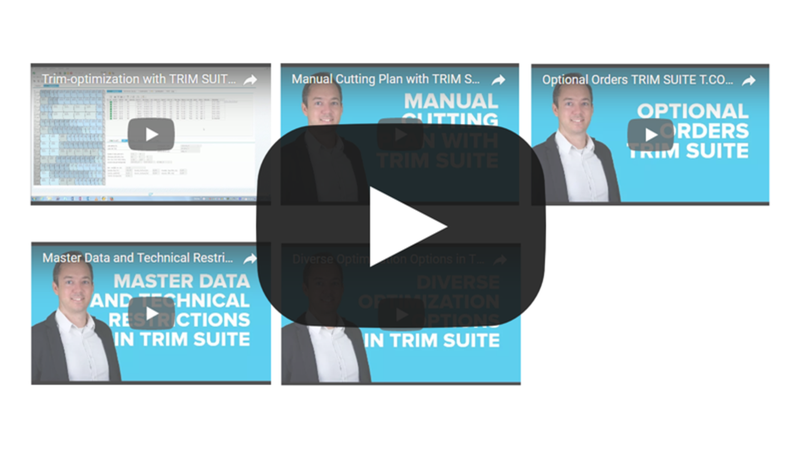 TRIM SUITE creates and compares results within seconds, it is easy to use and can maximize savings by defining costs for various aspects of production, including material loss, knife changes, storage or yield. After you completed your data the file/s will be sent directly to you. The paper and packaging industry has been deeply affected by paperless technology. Differentiation is key. Find out in this joint SAP® and T.CON webinar how T.CON’s trim optimization solution TRIM SUITE can help boost your business. Running natively and fully integrated in SAP®, it gives you flexibility to produce optimum quantities. Firsthand customer experience and a live demo will highlight its saving potential. 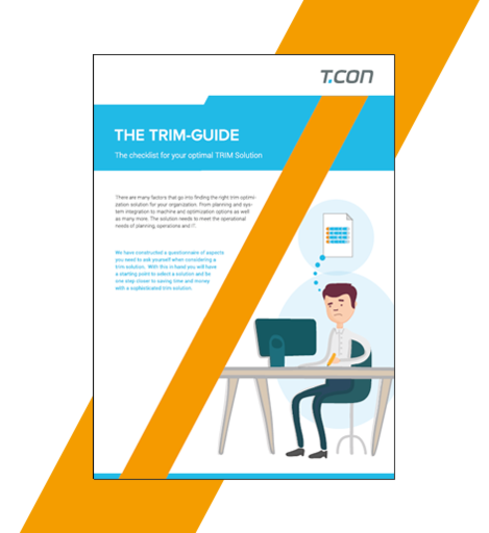 Experience how TRIM SUITE from T.CON can solve your problems with the newest generation of cutting plans quickly and automatically. TRIM SUITE takes advantage of a number of features, options and parameters of your production to provide you with the optimal result. Brad, a T.CON consultant in TRIM and MES, has the pleasure to show you how quickly and easily it is to generate a cutting plan with our solution. 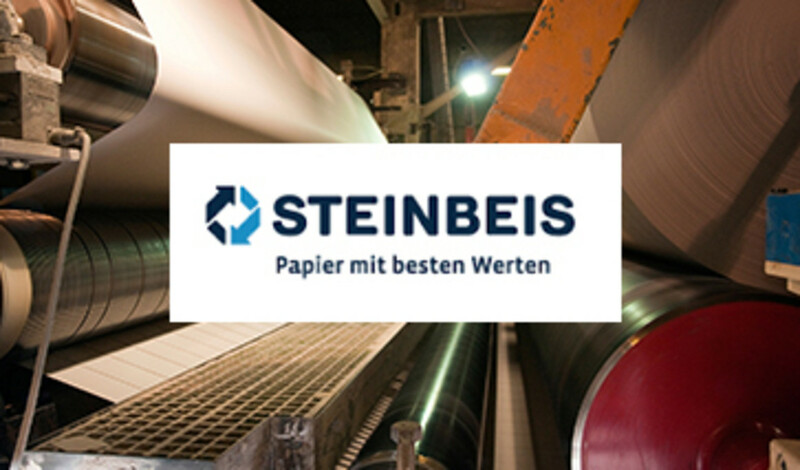 Steinbeis Papier is one of the leading manufacturers in the paper recycling industry in Europe. For many years, they have been using SAP ERP and SAP APO for their supply chain. In 2015, T.CON’s TRIM SUITE was integrated and replaced the outdated solutions for trim optimization and an external MES system. In 2015, T.CON’s TRIM SUITE was integrated and replaced the outdated solutions for trim optimization and an external MES system. TRIM SUITE is integrated as useful heuristics in the APO Detailed Scheduling. Cutting plans are seamlessly sent to the MES CAT system for starting production. Without any external interfaces, the full order-to-cash process can be done with standard applications by SAP and T.CON, based on 100 percent SAP technology. Delfortgroup is the world leader in design, development, manufacturing and promotion of thinner, more sustainable and tailor-made speciality papers for the tobacco industry, pharmaceutical and food industry. Delfortgroup AG is based in Traun (Austria). They also produce thin print paper for package information leaflets, religious literature and catalogues as well as label base paper and electrical insulation paper. 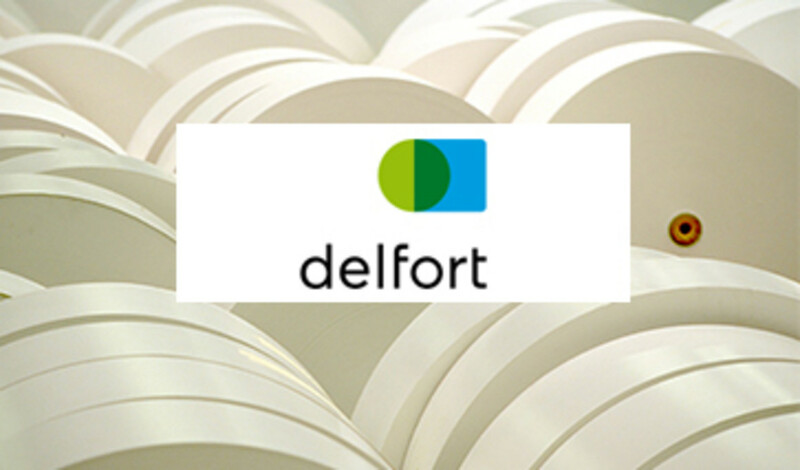 With over 2,000 employees all over the world, delfortgroup has six production mills in Austria, the Czech Republic, Hungary, Finland and Vietnam with five subsidiaries in Germany, France, Great Britain, the USA and China. Delfortgroup expanded its business in 2016: Mundet with operations in the USA and Mexico as well as delfortgroup printing services Inc. belong to delfortgroup now. TRIM SUITE was implemented in their site in the Czech Republic in October 2016. Product planning is made in a customized block planning in SAP ERP. Seamless integration of Trim Connector in ERP and planning processes so that best results can be achieved. Entire blocks of orders with up to 80 orders in one cutting plan are daily business. Cutting plans are seamlessly sent to the MES CAT system for starting production. Get in touch with us today and arrange a free non-binding web demo!